25mm 3c swa cable is one size of swa cable, which belongs to armored cable. It means the cross section if 25mm, and it has three conductor. You don’t need to know if the 25mm 3 core swa cable can use the place you want. You just need to calculate if it can be. If you have the specific requirement and data, we can design for you instantly. Now, if you want to get low price 25mm 3c swa cable, you can contact us. We will send our quotation with 25mm 3 core swa cable prices to you. Email: sales@hdarmouredcable.com. How to use low price 25mm 3c swa cable safely? In the using process, you should pay more attention to the safe. Among many factors, the insulation is an important one, and it also easy to get damage. For example, when we add the armoured layer, it may hurt the insulation. In the delivery process, the package or load the car also can hurt it. The installation process is the most dangerous time. Every step will hurt it if you don’t pay attention. Once the insulation of 25mm 3 core swa cable get injured, it will cause the insulation breakdown, and then will get fired. Therefore, you should be careful in using 25mm 3c swa cable all the time. Email: sales@hdarmouredcable.com. How to get high-quality 25mm 3 core swa cable with low price? 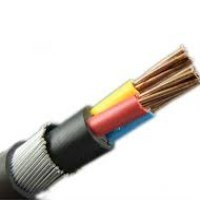 25mm 3 core cable is a normal cable in all armoured cable. You must have a knowledge about the cable. There is something tips you can search online. I think it will be better search 25mm 3 core swa cable manufacturers. The information is the most important. When you get factory information, then you pick from them. Now, you are here, and you can get our 25mm 3 core swa cable price. Email: sales@hdarmouredcable.com. When you search 25mm 3c swa cable, you must see huadong, and I am glad you can be here. With the support of big factory, we can give you a reasonable 25mm 3 core swa price. By the way, we never compare our price with those nonstandard cable. So you must be careful about much less price. We are always prove our low price, high quality and best service, come on. Email: sales@hdarmouredcable.com.